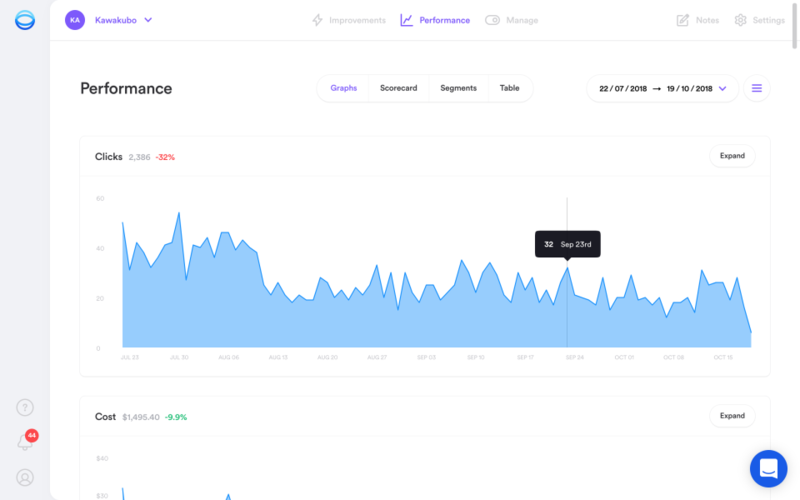 Opteo is a Google Ads management tool which recommends optimisations based on continuous account monitoring of account performance data. Optimisations can be launched with a single click as pushes changes to Google Ads automatically, without the need to switch between interfaces. 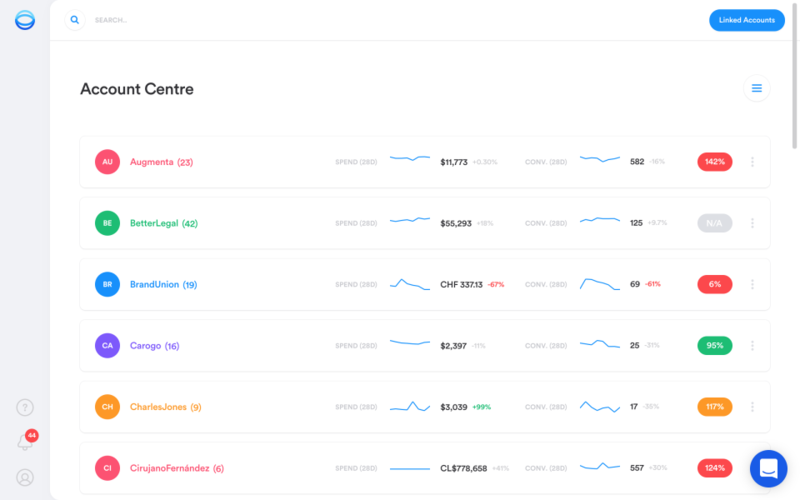 Opteo includes over 40 different optimisations including: manage keyword bids, control budgets, optimise ad schedules, get real-time alerts, analyse search terms and more! Pros: This is like the Wordstream 20 minute work week only much easier to use - and ideal for those of us who spend more than 20 minutes working on our Adwords accounts a week, as suggestions come up once or multiple times a day, depending on which plan you choose. I found the bidding suggestions particularly useful, and it picks up ad misspellings and duplicates - even when you've got the same broad match keyword with a different word order in the account. I also love the suggestions on which ads to pause based on conversions per impression OR click through. It has a lot of great features actually. Support is great and gave me higher level suggestions on structuring my account. What I really love is that there is a forum where you can suggest new features and vote on them, and they have statuses on them so you can see what's coming next. We tried automated bidding tools but didn't have the huge conversion volumes required to see good results from those. We'd trialed Acquisio but I didn't like how the bidding strategy was taken out of your hands, and setup was a nightmare - and even worse was disassociating my thousands of campaigns from the shared budgets their system set up - and support wouldn't help. For accounts that have sufficient conversion volumes I'd likely use a combo of Opteo and Adspert which was our favourite bid automation tool, but for all of our accounts, big and small, Opteo has delivered good results for us regardless of the number of historical conversions. 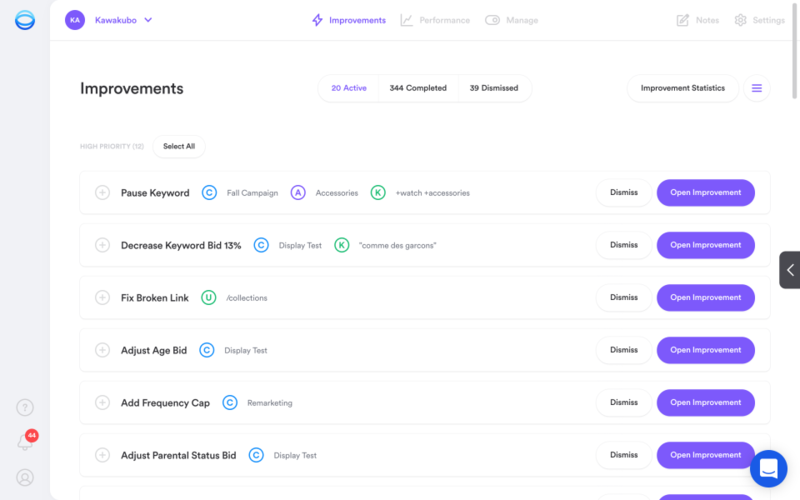 Cons: A few improvements could be made - campaigns and ad groups list doesn't show up in alphabetical order, there could be a few more features - but I can see new features are regularly being developed. I'd love to see bid adjustment suggestions based on locations, and more frequent ad scheduling suggestions, but for the latter we likely don't have enough data in our accounts anyway to make meaningful adjustments, so perhaps that feature does come up more regularly for bigger accounts. Pros: - Opteo optimizes for the client's best interest. - Opteo encourages engagement between the marketer and the account. - The Opteo recommendation engine has, on many occasions, provided extremely similar recommendations as our Google Partner Certified marketers. 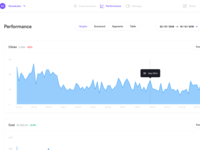 The difference is, our marketers spent hours reviewing the account while Opteo spends seconds. We continue these comparisons and they are ongoing and verifiable. Becuase of this, our trust level with Opteo is sky high; it can be relied on to provide solid, useful recommendations. - Opteo is fun to use. We enjoy logging in and seeing what the engine has recommended for us. - Opteo works. Across the board we have seen reduced CPAs, more conversions, and a higher Quality Scores. - Opteo rarely fails. In our experience, we have never seen a timeout when the software is interacting with Google Adwords API to implement changes to the account. - Opteo sales team are not pushy, and support is very helpful. - Oboarding is easy, and there are multiple ways to add accounts, which is tremendously useful. e.g., you can add multiple MCCs, or single accounts, which means even though your clients might be a tangled web, it all gets standardized in Opteo. Cons: Opteo takes Adwords info and displays the data in slightly different ways. I had a few questions about what this data meant, so contacted Opteo support. Opteo Support setup a screen share session with me and walked me through each of my questions. During this call, I learned much about Opteo and even a few things Adwords that I didn't know (yes, not everyone can know everything)! Overall: As a small-scale digital marketing consultant I don't have the budgets to work with the larger automation or bidding tools, but I knew that I wanted to cut down on the time I spent performing "grunt work" in my accounts. I signed up for an Opteo trial (back when it was Altus) and have continued the plan ever since. Opteo does all the heavy lifting of day to day account monotony for you. it has a beautiful interface with very clear explanations that provides you with suggestions to adjust keyword bids, change up extensions, pause ads, write new ads, add keywords, structure your account'all with very clear explanations, relevant numerical support, and additional text/video content around the subject. I've taken an account that was losing money and brought it back to a profitable level over the past couple of weeks by correctly setting up my target CPAs within Opteo and following every suggestion that the tool has offered. The support from the team is incredible, they're both fast and very knowledgeable, and I would certainly recommend the tool to anybody needing to free up some time and reduce human error in their Adwords account. I can only see Opteo getting better, so I'll certainly remain a member. Pros: It is basically an Adwords management tool, that provides suggestions by continuous extensive monitoring of your accounts with the backup of statistically relevant information and you get these suggestions many times a day about the several options available. They have a lot of features that enable users to create their ads by writing them themselves or even based on their rival's ads. Cons: The interface of the application isn't user-friendly and is not apt for the portable devices such as tabs and mobile phones. Absence of features to export a report. The application needs extension to Google display network. The reporting tool lacks advanced features. Pros: I've been using Opteo for about a year now and I can't imagine ever leaving. A lot of Google Ads tools out their aim to take away control of your campaigns with extensive automation. Opteo keeps the control in the hands of the Managers, allowing them to pick and and choose what optimizations they want to push live to the campaign. The majority of the adjustments are changes to the campaign that hours of analyzing data would only point to. Cons: The interface can take some getting used to and will stutter and hang from time to time. They also do not currently support PLA campaign adjustments besides discovering negative keywords. Pros: The best feature for me is that it saves time. The tool uses analysis algorithms to identify issues and opportunities with keywords, ads, and bidding strategies. Having the tool do this greatly reduces the time I was taking to manage accounts with my own manual process. The tool provides a very good interface to fix issues by adjusting keywords, ads, bidding, or other settings. Cons: The recent user interface update resolved most of the issues I had. I would like to use the tool to produce PDF reports that I could deliver to prospects to show the issues and the score card of the account performance. I think this would help me win new business. Pros: Opteo had changed the way we work in our agency. Optimizing accounts used to be sifting hour after hour through a lot of data on a daily basis. Thanks to Opteo we receive account recommendations that actually work. Since we started using Opteo almost all of our accounts showed major improvements like better quality scores, more traffic volume, better CPA's and more relevant traffic. The Opteo team responds quickly to support questions. If you have suggestions they actually listen and add these features to their product. New features are added often, almost on a monthly basis. I can't imagine a world without Opteo. 3 thumbs up! Cons: The user interface isn't always clear on some points but that's minor. It also doesn't work ideally on mobile devices. Pros: First of all, it's unbelievable easy to use this system, we have been using it for a couple of years and the service and support is truely great. The developers are also open for new ideas and are continuously developing new features. Cons: Dont have any comments for this at all, if we have any issues and need for support the team have an answer right away. Pros: - Great account improvements section - manually push recommended improvements. I actually like that it's a manual process. Better understand the recommendations. - Constantly growing feature list. The developers are adding new functionality nearly every week. - Easily manage an entire MCC's worth of accounts. - Huge value for the price. - The support is stellar. Send a chat and usually answered within minutes. Cons: - The appearance if the application, while super clean, could use a bit of work to help keep accounts and features separated. Occasionally I am hunting for a specific tool and it blends together. Makes Adwords....a little too easy! Comments: We're only human, and to be human is to make mistakes, despite our best intentions with checklists and procedures. Enter Opteo. Opteo reviews your AdWords accounts making helpful suggestions based on well-established best practices. These aren't the semi-helpful AdWords suggestions that Google provides. These are specific data based suggestions. I find I implement 90-95% of them. If you approve the suggestion, in one click Opteo will implement it for you. If you don't like the suggestion, you can permanently ignore it or ignore it for a certain period of time. Suggestions occur for a variety of topics such as exact match keyword suggestions, negative keywords, bid adjustments, pausing poorly performing ads, placement exclusions and many more. It is especially helpful for smaller accounts that don't warrant a lot of management time due to low ad spend. Opteo covers the bases until time/budget justifies a deeper look. Cons: Occasionally (1 in20 suggestions) the API between Opteo and AdWords errors out. In those cases, you must enter AdWords directly and implement the suggestion manually. Recommendations to other buyers: Take the free trial and see for yourself. Cons: It sometimes hangs, but support is very quick to iron out any little bugs. The confirmation window when it does a task can be a little annoying which just seems to add time to processes, I think previously this wasn't part of the software. Comments: Opteo really makes my life easier because it shows me several adjustments to the AdWords campaigns that I would have to manually detect by analyzing reports. Pros: Very easy to use. Just click, click, click, optimization done. For every optimization there is plenty of help and knowledge. Support responds really fast. Great price. Cons: More optimizations rules could be great. On the top of my mind comes something like "dynamically adjust bids to be #2 (or any position you want)". And "adjust to always be on top of first page". Things like that, utilizing adwords scripts, would be very good to have. Recommendations to other buyers: It's a great tool to enhance the performance of your AdWords campaign without wasting many hours analyzing spreadsheets. Worth a try. Great Application, Saves me 100's of hours every months. Comments: Opteo keeps a close look over all my client accounts which give me peace of mind that we stay on budget and constantly make improvements to get excellent ROI for my clients. Comments: We use Opteo for almost a year now and we really love working with it. Opteo saves me a lot of time so I have time free for other important tasks. Opteo is always improving their services with extra features and designs to make user interface more appealing. Also their customer support is great, when we have had questions they were answered quickly and sufficient. Recommendations to other buyers: For our company Opteo functions as an extra employee who is always able to give us an overview on how we are doing with our AdWords campaigns and make great suggestions for improvements. So do you also want an extra employee at the lowest possible costs? Yeah, I would definetly recommend Opteo to you! Cons: Features should be extended more to Google Display Network as well. Bid modifiers could be set by time periods, places, target groups etc. Reporting & monitoring would be nice to be able to share with Clients or even export functions become available. Pros: Opteo allows a helicopter view on all accounts we manage. The tool offers various optimizations and a constant analyze of various elements to always be certain to be on the right track. Pros: All round performance with keyword, advert and bid optimsation recommendations backed up by stats to prove it. Saves hours of tedious work allowing time for more creative updates to campaigns. Excellent for agency management of multiple Adwords accounts. I've used the more expensive competitor tools but found Opteo to provide everything I need at incredible value. Easy to use interface. Cons: Nothing to fault. Seem to be always adding new features and improvements. Incredible value for money. I love it. Great product. Saves me time every day. I can focus on the big picture more - great! Pros: The improvement areas are well composed, which means it's easy to get an overview of whether or not it's the right decision. It's super user friendly, and keeps good track of my budget/spend. I also love that the suggestions are based on improving YOUR performance. Google always tries to upsell; that's not the point here. We're trying to OPTIMIZE - and Opteo really helps you do that. I've seen a real increase in lead quality, and lower CPL overall after implementing and using it. Great product; and nice support team as well. Cons: Very little. I don't really have any bad things to say. I guess it's a bit expensive for very small clients, but I can use it to monitor different clients/platforms at the same time, which is great. 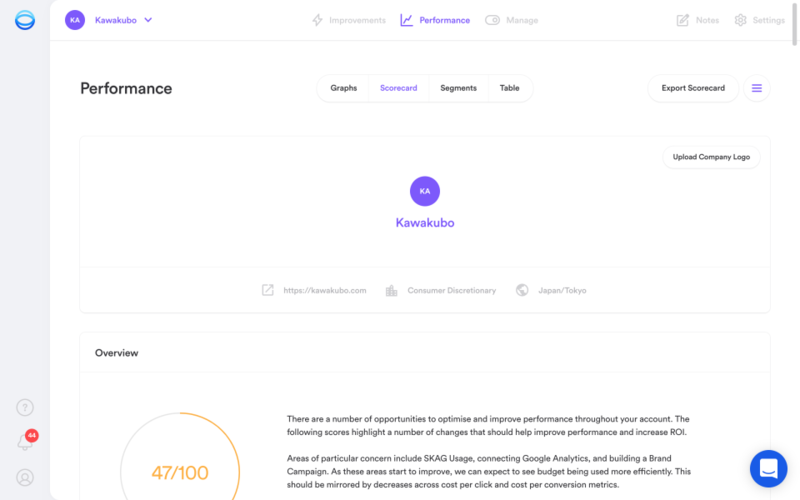 Overall: Better CPL, better quality score, better ads, more traffic etc. Comments: We spent a lot of time researching various providers and after the demo's with all of them can easily say that this was the best. The tutorial to get it started is very easy and videos explain everything. A few clicks literally save us hours of monotonous work so we can spend more time exploring new strategies/ideas/opportunities for our clients. We use the system to help back up our staff and strategies to give our clients even better results. So far we've seen improvements on all accounts and I'd highly recommend. Pros: Save lots of time and put our campaigns ahead of the competition. We receive lots of great optimizations recommendations and to execute is just a click away, also the budgeting manage feature is very easy to use and control the budget of many accounts with different monthly budgets. 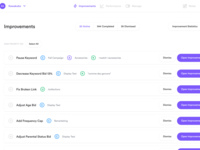 Cons: We miss a reporting tool to send the optimizations to our clients and other few features, but the key features we already have on the platform. Pros: Improvements field is great - in seconds you can see what improvements you can do to improve the campaign performance. The scorecard and performance fields are very easy to analyse in a couple of minutes you can see the previous day performance. One of my favorite is the Search Impression share which tells you % of share lost to rank, budget and the % of impression won. Cons: Though is a great tool to monitor and to support to overall performance improvements (campaign level), is not ideally to do more detailed improvements, i.e. ad group level, or keyword level. How did cope without this? Pros: A fantastic system which really takes an in-depth look into how your campaigns are performing and provide relevant recommendations to improve the performance of said campaigns. Simple to use interface, great knowledge base articles and all round great customer service. Cons: Lack of exportable reporting options. Would be great to use this for reporting monthly as well rather than having a seperate reporting tool. Pros: Great for pointing out optimizations, most of the time I implement in Opteo but sometimes I do apply manually in AdWords because of more control over what I am doing. Cons: More visibility of how steps/changes are made in AdWords and more customised ways to make these changes would be good. Often I like to create things in a certain way - thats why I do changes manually instead of in Opteo sometimes. Pros: Fantastic user friendly interface. Excellent responsive customer support. Cuts hours of work down to minutes. Cons: Some clients that have accounts with campaigns in different languages get spelling errors highlighted, when actually the spelling is correct in the chosen language (only happens in non-English). Never miss the smallest optimization ever again! Pros: Easiest software to learn and use i have ever seen. Picks up on the smallest things from negative keywords to spelling mistakes. Best tool for AdWords. Cons: Missing a few features such as a PDF report that you could send to clients. The reporting side of things could be shown a bit better. Opteo is setting up new benchmarks. Pros: Opteo saves time! What we once used to do via Excel can now quickly be seen in Opteo. This is the best tool I have seen on the market to date to help you maintain and optimize your campaigns. 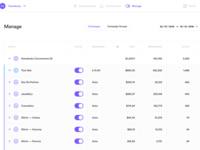 You get quick actionable insights into your campaigns. But the can do even one better, with a click of the button those insight are immediately implemented (Warning: You still need to know what your doing and how it might effect your AdWords campaign) Saving yourself tedious work so you can focus on what's important: your client's. The user interface is also very intuitive. In the end of the day it just works! Comments: Opteo has been a huge asset in saving time for basic optimizations. We get relevant improvements applicable to the specific accounts, not just generic suggestions each week. Pros: As a new tool, Opteo continues to impress by adding new features that are above and beyond other tools. Customer service is extremely receptive, both to explain features and take in our feedback. The interface is easy to use, and works on a mobile device as well, which is handy. Cons: As a new platform, there are the occasional lags or glitches. No call tracking integrations currently for optimizations. Not for small accounts, as there's not enough data to optimize. Recommendations to other buyers: Definitely worth giving a shot. Pros: - View campaigns at a 50,000 foot view or in great detail. - Saves a bunch of time switching between client ad accounts - Inexpensive and even offers a referral discount so you can get it for free! - Write ads, optimize keyword/campaign bids, see relevance scores, and more! Cons: The only thing I can think of is that sometimes it crashes (albeit very rarely). It would be fantastic if they expand to include Facebook data. 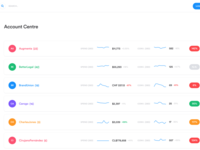 Pros: The tools, features and dashboard - so much useful information and tips. I really enjoy the interface. Cons: Sometimes when pushing improvement will not go through - maybe something the team/tech can look into. Comments: Easy to do significant but positive changes for clients each week. We have seen a great improvement in our results over time. Pros: A lot easier to use than Google's own UI. Allows us to regularly and incrementally improve our clients account over time. We have a lot of small clients (rather than a few huge ones) and the pricing structure is great for that mix. Cons: Nothing comes to mind. Any problems have been at our end. Cons: When I have new ideas I will send their guys and they gradually customization services. One day will be OPTEO perfect. Superb & affordable. It has save me hours of work and provides real data for solid decision making. Pros: The team is very responsive. Opteo seems to diagnose all facets of an ad campaign and you can choose which recommendations push through to live. The dashboard is easy to use and not overloaded with too much data to where you cannot focus. Great job on the design. It has saved me hours of work literally. The best subscription I have for my business!! Cons: The lack of of exporting reports for clients - but I asked the team and guess what it's coming. Honestly I can't think of one yet. Overall: Time savings and precise data analysis for better and quicker decision making. Pros: I really use Opteo every day of my job. It's incredibly easy to use and also give me some great information about my AG and KW. And, of course, you can manage your budget very easy. with a single view. You can control a lot of accounts and manage all of them very quickly. It's very useful to find new kw and organise them. In depth features, visual based, always updating and improving. Great for SEM managers. Pros: If you know what you're doing with Adwords this is a powerful tool. The data on WHY it makes a recommendation + the video explanation are a great compliment. Makes it easy to spot insights. Directly connected to Adwords to make changes at the click of a button. Smart algorithm and based on best practices. It works! Cons: Lack of budget management and pacing features. Lack of bulk edit ability. Somewhat complicated UI, it's hard to bounce between client accounts quickly. Could be too much for inexperienced Adwords users. one of the best adwords software that has excellent customer care and service. Cons: I really don't have anything negative to say other than the overwhelming amount of features, playing and setting up can take a minute, but once it is up and running the service is phenomenal. Great job! Pros: The recommendations and notifications are the best in class. I have tried every tool for Adwords management out there. This is the best I have used. Then you look at the price and you are sold for sure. The competition is easily twice the price. It's a no brainer at that point. It is clean and easy to quickly see how your campaigns are performing. Cons: Wish they supported other platforms like Linkedin, Facebook and Bing. Pros: Just in trial after trying it a few months ago. Lot's has changed: it is not a great optimization tool which does the thinking for you. Really intelligent suggestions. Cons: Please DON'T develop reporting functionality. There are enough reporting tools out there. Please don't loose focus on optimization. Comments: When I started using Opteo it was great adwords management software, but the keep adding new features every month, giving it more and more performance! Pros: It's so freaking smart. We have over 100 campaigns. I would've hire 5 new employees just to manage them. Luckily we have Opteo. Cons: Nothing, really. It's really good and it's improving fast. They really listen to feedback, so that's a good thing. Overall: Couldn't live without it. Cons: I wish it could be a bit more flexible when it comes to configuring different accounts (eg, being able to feed custom-built metrics to the algo). Comments: Opteo has solved a number of issues that arise from being a freelance digital marketing consultant. I manage multiple luxury retail and lifestyle accounts, and Opteo provides a number of analytical tools to help me do this even better. Perfect! Cons: I would love it to do more Google Shopping ad management - but I know its on its way this year. Can't wait! Pros: Opteo makes managing your Adwords account much more simple and efficient. Even more important, recommended optimizations can help save advertising dollars. Cons: None! Opteo is a great platform with many benefits. Huge help to find problems and optimize our Adwords! Pros: It saves me an enormous amount of time and I can improve my adwords a little bit every day. There's always a suggestion on how to maximize of adwords campaigns and cut costs. Cons: I'd like to get more suggestions of improvements. After the first huge batch was done we get a few every day but some more suggestions would certainly be welcome, particularly on how to improve quality scores. Pros: Functionality, the improvement inbox. It has a nice visual design and user experience. Cons: There are some bugs in the platform. Overall: I started using Opteo in early 2016 to manage a few of my PPC clients. I now make sure every one of my AdWords client's is hooked up to Opteo. Opteo easily saves me 5-10 hours a week on campaign optimization and oversight. The 'improvement inbox' tool is easy to use and makes a real difference in the performance of my campaigns. Pros: Opteo (formerly known as Altus) is a practical toolbox for every Google Adwords Manager! I can not live without it anymore, because it saves time & money and ensures an better overall performance! Pros: Love the interface, ease of use. I really like how it seems to be learning my account as I go on. Well done. Cons: Would like to see more negative keywords as this is still a small pain point. There's really not a true formula for negative keywords, but it would be nice to see a list of keywords that are costing a ton of money that we can easily show as negative. Best app ever for Adwords! Pros: Absolutely a thrill to use, easy, simple and actually works, unlike others that offer trials that do not work!! Much less cost and its really good. Comments: An excellent tool for any digital agency or digital marketer working with AdWords. It has helped us to save time, avoid potential issues and take account analytics to a new level. Pros: Very easy to set up Great reports and optimisation tips Works well for monitoring large number of accounts at the same time Quick responses to questions, love their support! Cons: No problems identified so far.